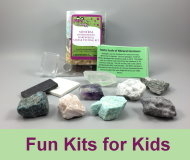 Are looking for fun rock and mineral kits with lots of activities, we’ve got you covered. Need a lesson for your students? We can help there too. 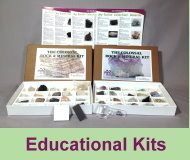 And if you have a birthday in the family, we will help you throw an epic Rock Detectives party for all of your guests. 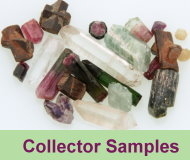 We have a huge selection of individual samples to make your collections great and books for everyone in the family. Have questions? Our on-staff geologist is here to answer your questions. Connect with us on Social Media for fun information, coupons and more!